An exciting guest cottage post! We just got home from a very productive couple of days at the cottage. The weather was beautiful, the birds were singing, and we’re all grinning from all of the good work we did. The first thing you’ll notice is the new additions which I will get to in a minute. The big accomplishment this week was that my brother and I painted the entire cottage in one day. You can’t tell from the photographs but the before and after is staggering. 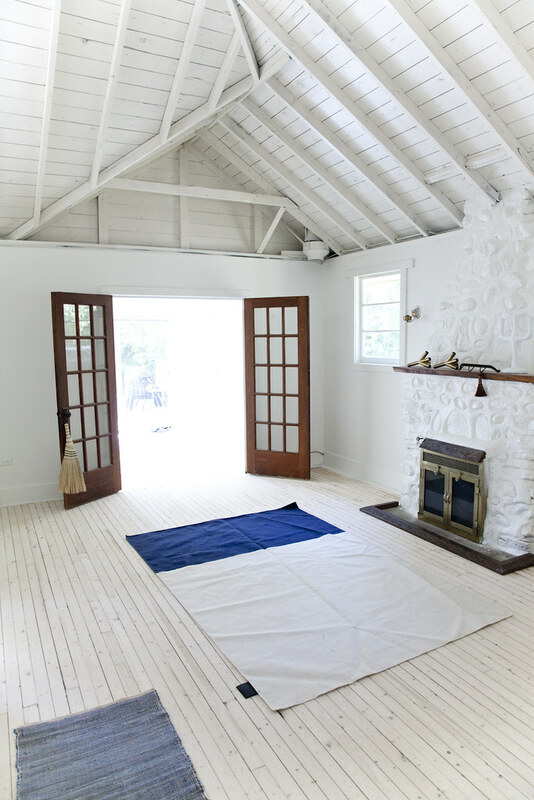 We used Benjamin Moore’s cloud white, our staple white paint, and it enhanced all of the best qualities of the cottage. One thing we did learn about paint is that getting “Cloud White” at Home Depot is not the same as from Benjamin Moore. Definitely get Benjamin Moore. It’s a little thing but makes a huge impact. 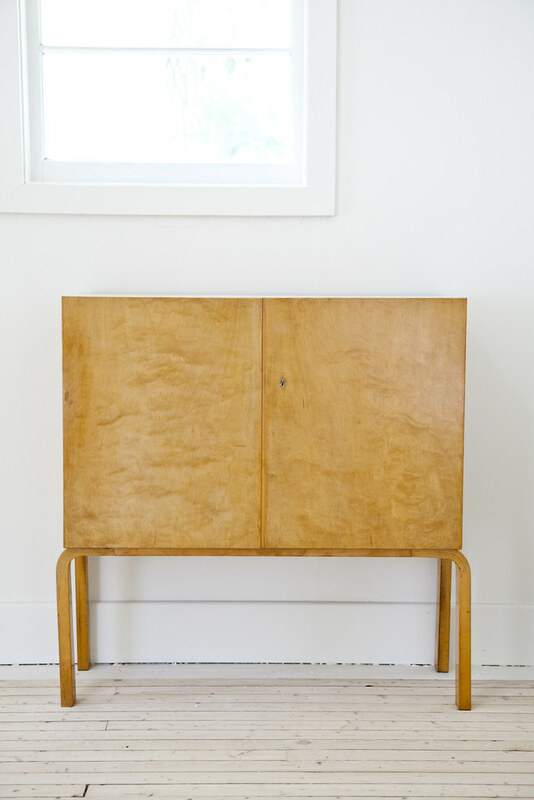 One of the most exciting purchases is this 1940s cocktail cabinet by our favorite architect Alvar Aalto. 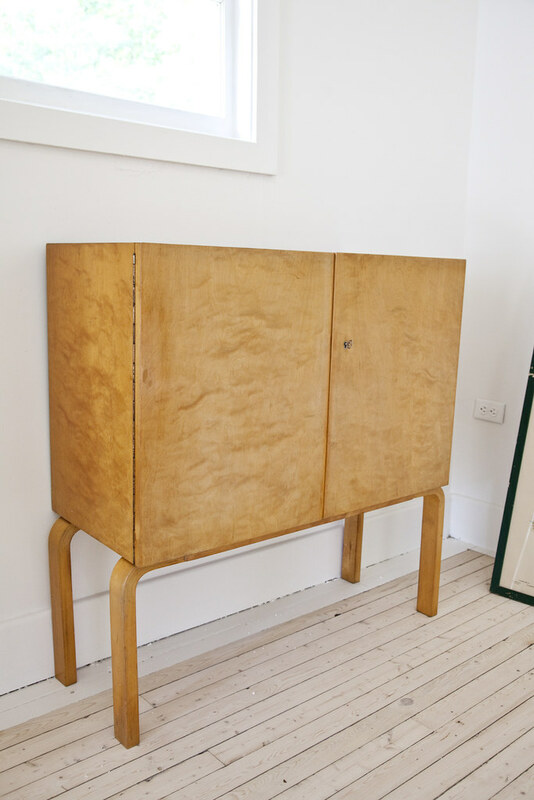 We found this cabinet online at a wonderful vintage shop called Reside Inc. The price was incredibly fair and the communication, packaging, and overall experience was top notch. The cabinet is made from mahogany with Aalto’s signature bent birch legs. 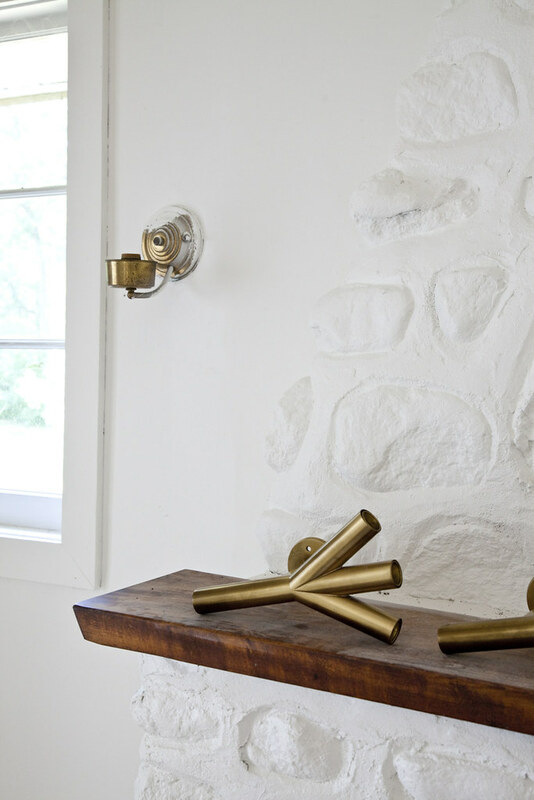 Everything is original including the shelves, a heart shaped key and the flawless patina. I’m such a sucker for these old out of production Aalto pieces, they are so hard to find here in North America. 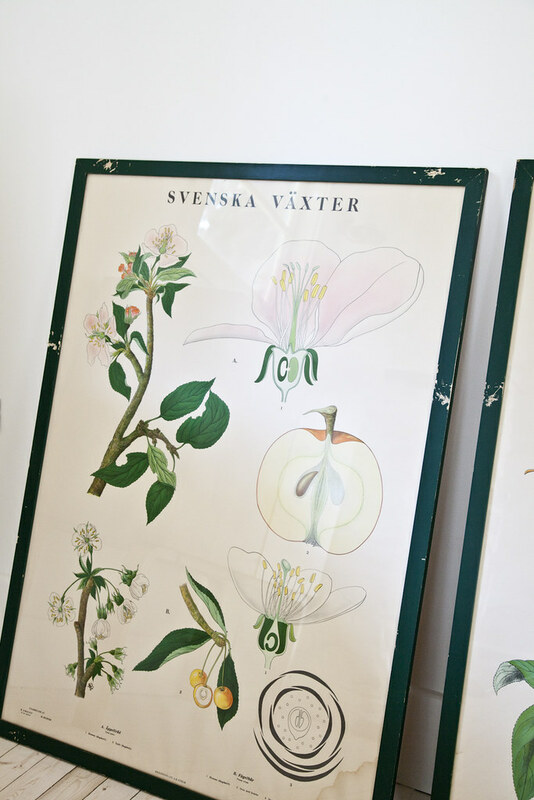 We found three of these framed Swedish lithographs from the inaugural Junction Flea a few weeks ago. We didn’t really get a chance to talk about it much but we will do a post about the many other items we scored soon! Next Junction Flea is July 8 and we highly recommend you come on out to the neighborhood for the day. It’s so worth it! These are going to look great next to our future dining table. 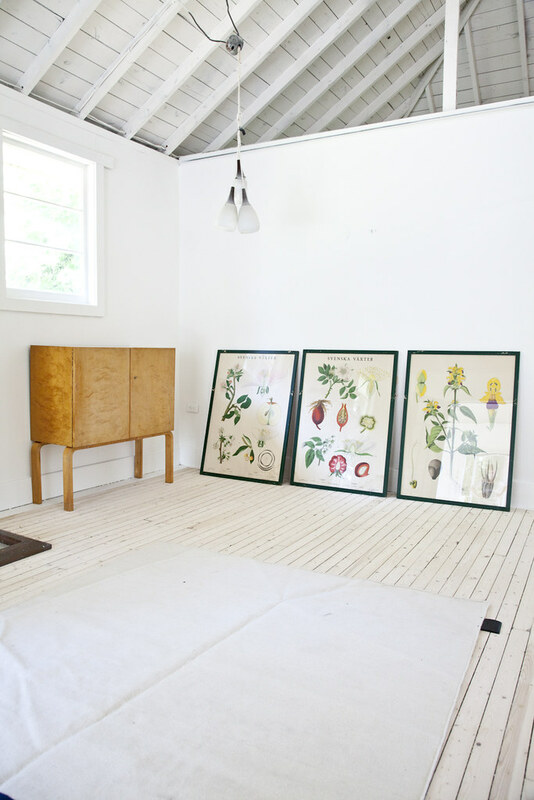 On the other side of the living room we have a big Totone rug by Eero Koivisto for Asplund. 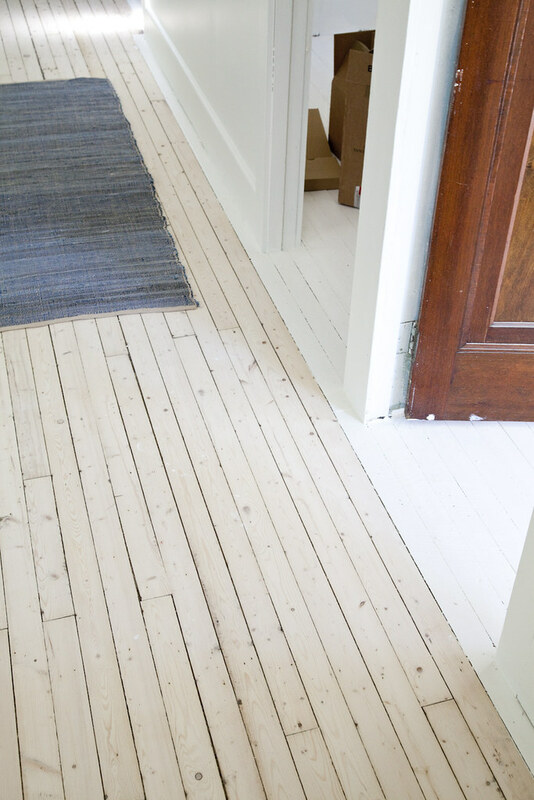 It is actually a hangover from our first order from Asplund and we used it briefly on the floor before rolling it up and putting it in the basement so it wouldn’t be destroyed by snowy salty winter boots. Hopefully it looks good with our sofa. 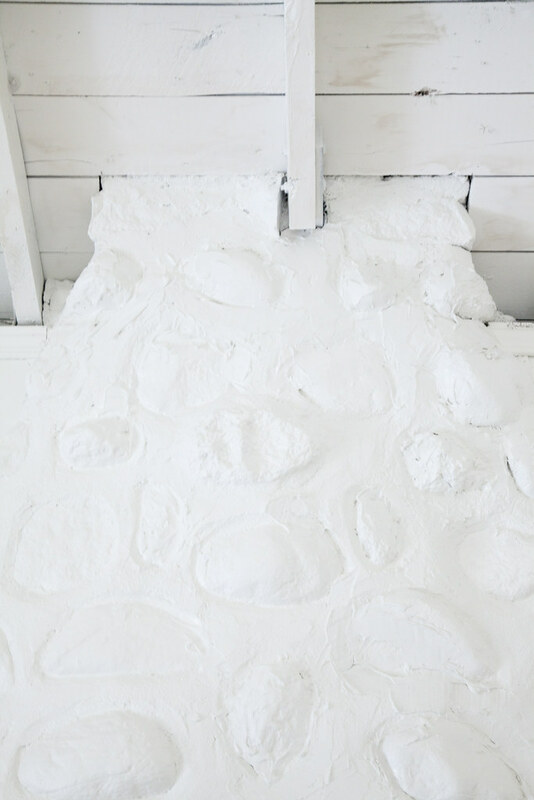 I fixed all of the cracks in the fireplace and gave everything another coat of paint. It’s a huge improvement. 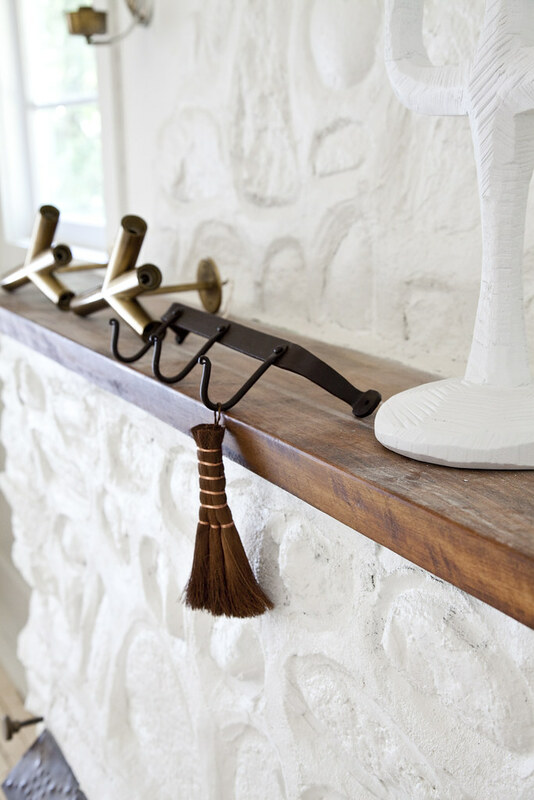 In order to break up the fireplace a bit, I bought this cast iron rod to install underneath the wood ledge. I’ll put this palm sweeper and one of our persimmon dustpans by Oji Masanori on it to be used for sweeping ash. 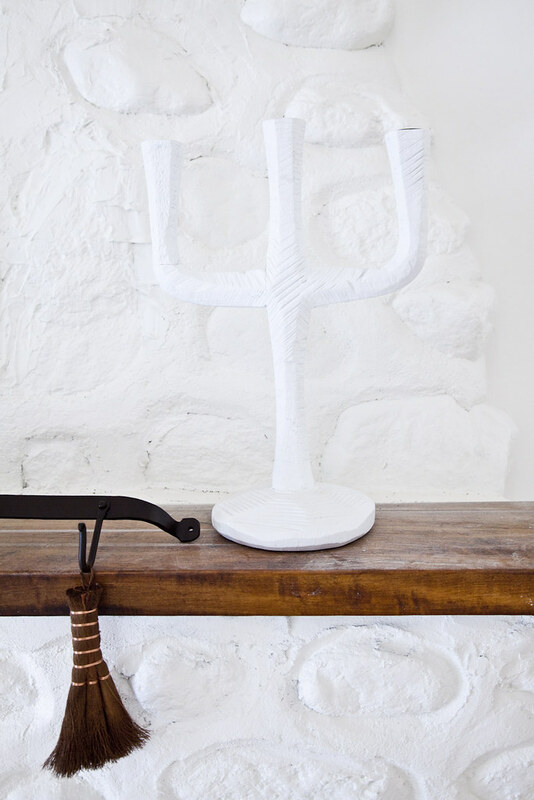 The other piece to mimic the plastered fireplace is the RAW candleholder by Jens Fager. We have the traditional ceramic version of this at our main cottage so I think it’s a nice element to connect the two. I’ve been saving this one, but thought I’d give you a sneak peak. 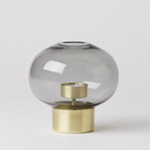 We picked up a pair of these vintage Swedish sconce’s by Knut Hallgren. When the candle bulbs are in, it looks like a branch with three leaves. Can’t wait until they’re installed. 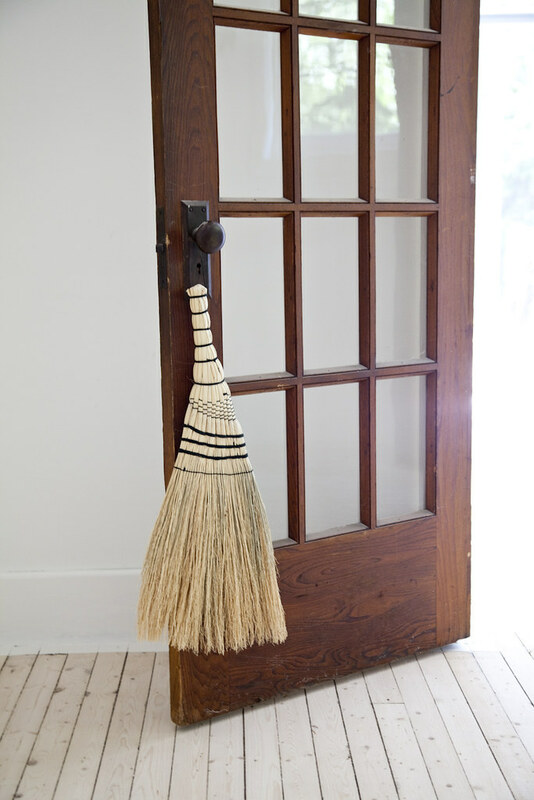 A hand broom for good measure. A lazy but smart solution Juli came up with for the edges of the floor. The floor sander couldn’t go straight against the wall, so we were left with a dark strip of dirty flooring. I didn’t want to spend a day on my hands and knees with a hand sander so we simply painted the floor closest to the wall white. Since the bedrooms are already painted white it makes for an interesting transition.